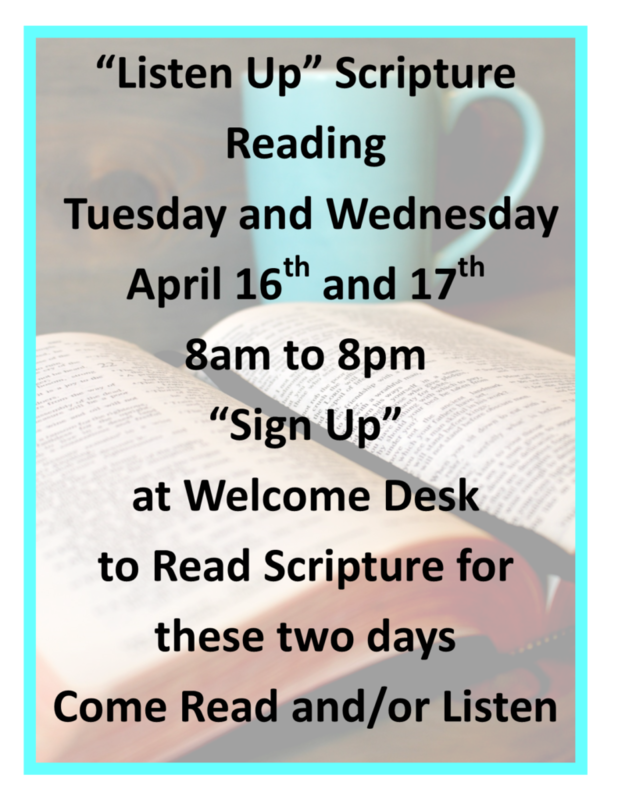 We would like to encourage all of you to devoting yourselves and our Church to “The Reading of the Scriptures”, You can come in Sunday for Worship and Sign up to read for 15mins. any time you choose!! !